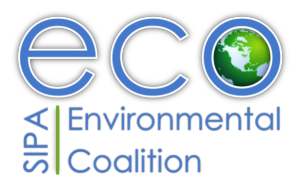 Happy Monday ECO members and fans, check out this list of upcoming events! Join SIPA Food Systems Group and Human Rights Working Group for a brown bag lunch with Professor Isabelle Tsakok, who teaches Transformation Through Sustained Agricultural and Rural Development: Policies and Institutions and has a wealth of experience in the world of food policy and economics. She will discuss the challenges and successes she has experienced as a development practitioner working on agriculture and food security around the world. Lunch will be provided! !